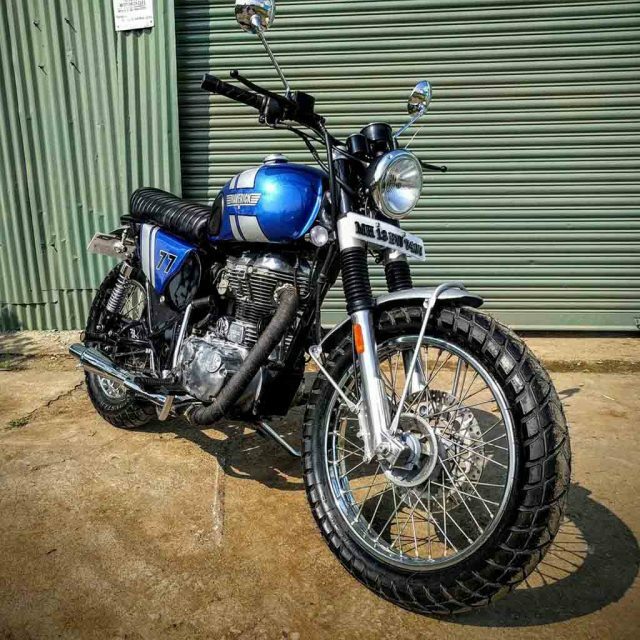 Royal Enfield motorcycles are usually known for their typical British retro charm. 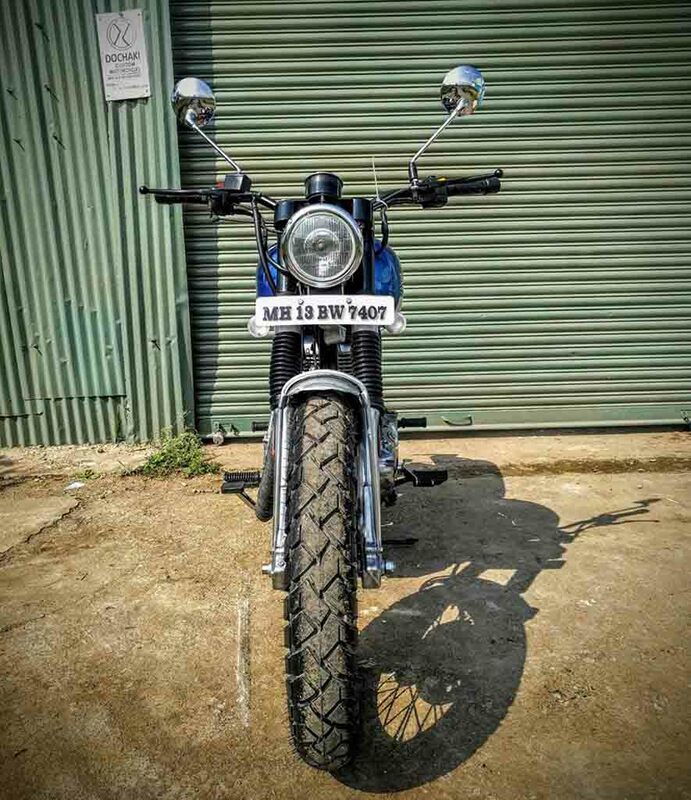 But some riders like their machine to be distinctive than the standard ones and hence they opt for unique customisation. 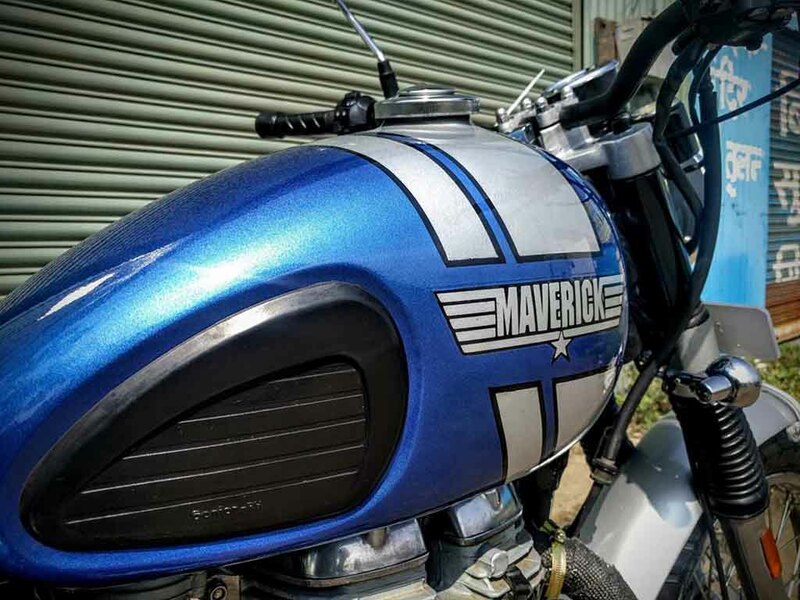 Here we have a Royal Enfield Classic converted into a scrambler and dubbed as the Maverick Scrambler by the Dochaki Custom based out of Pune. 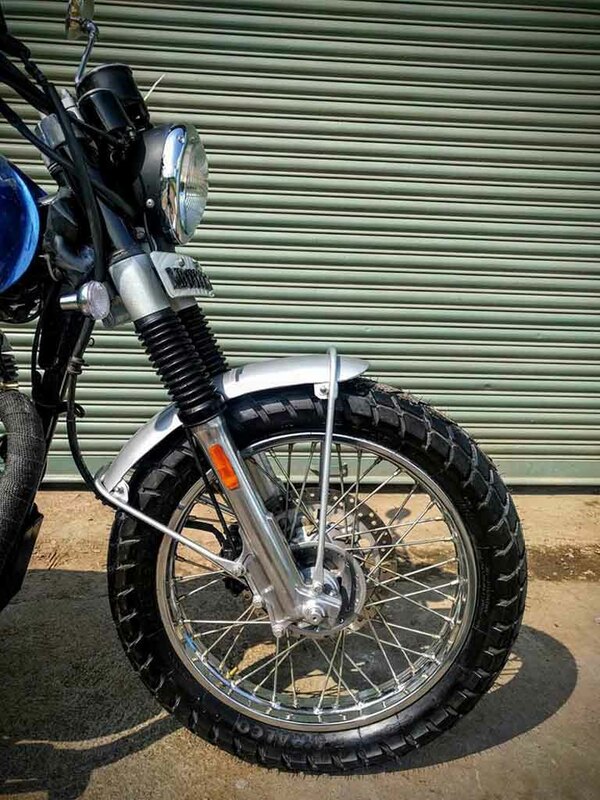 The RE Classic turned into a scrambler looks very bold and aggressive with its appearance. 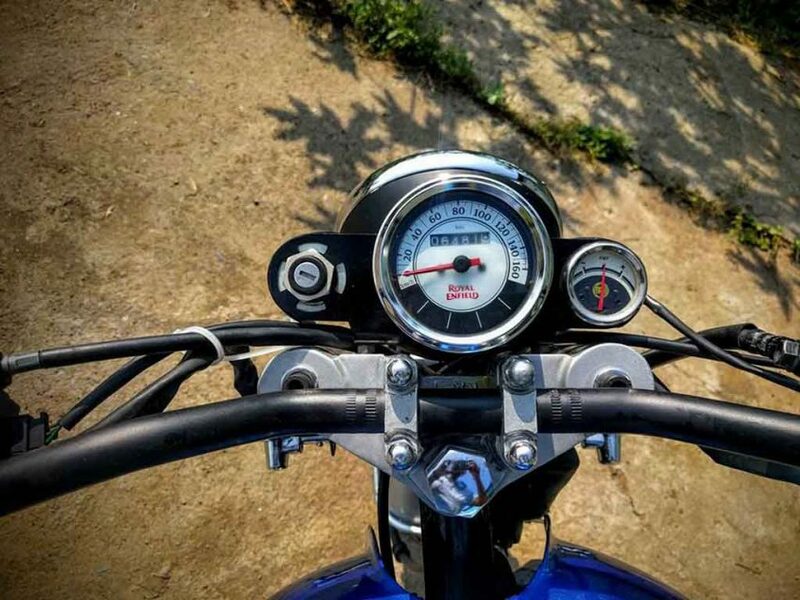 The motorcycle truly reflects a go anywhere attitude. Built on a new custom frame, the Maverick Scrambler gets custom instrument cluster, custom wheel rims and new suspension set up as well. Interestingly, with a quick glimpse the motorcycle appears bit similar to the Triumph Bonneville T100. Up front, the round headlamp is intact with a chrome bezel. The instrument cluster is repositioned and comes with a dual-pod appearance. 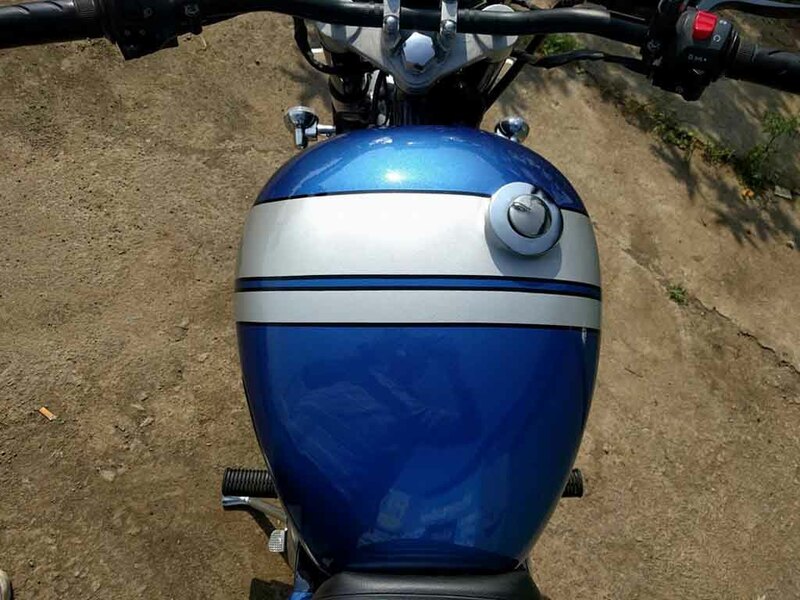 The fuel tank looks identical, but the Blue and White paint scheme has played a trick to make it very attractive. The side of the fuel tank gets ‘Maverick’ lettering. It gets a new custom seat with Black leather treatment. 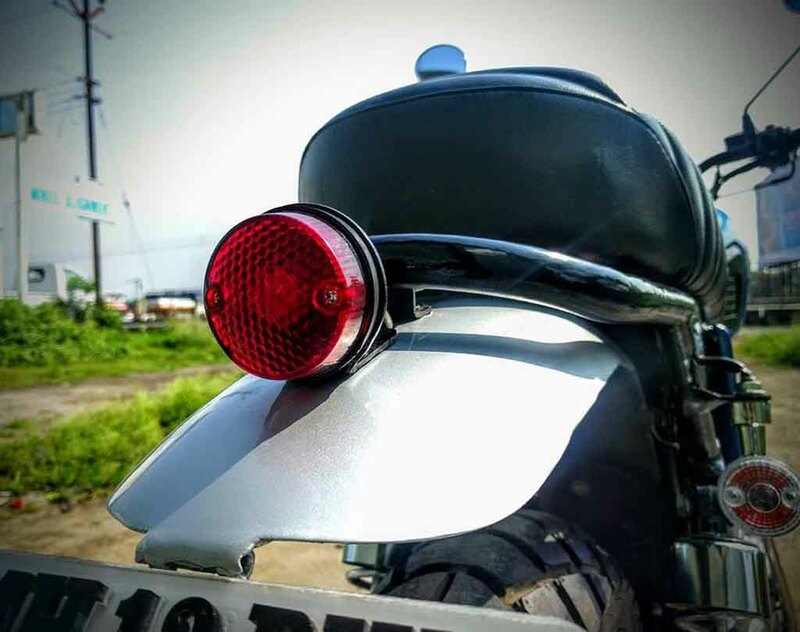 The tail section of the Maverick Scrambler comes with a custom appearance sporting a round shaped small taillight and a raked and shortened mudguard. The front mudguard too comes with a shortened look and painted in white. The exhaust remains identical to the stock model, while the suspension comes modified. For braking duty, it gets a front disc brake and a rear drum unit. 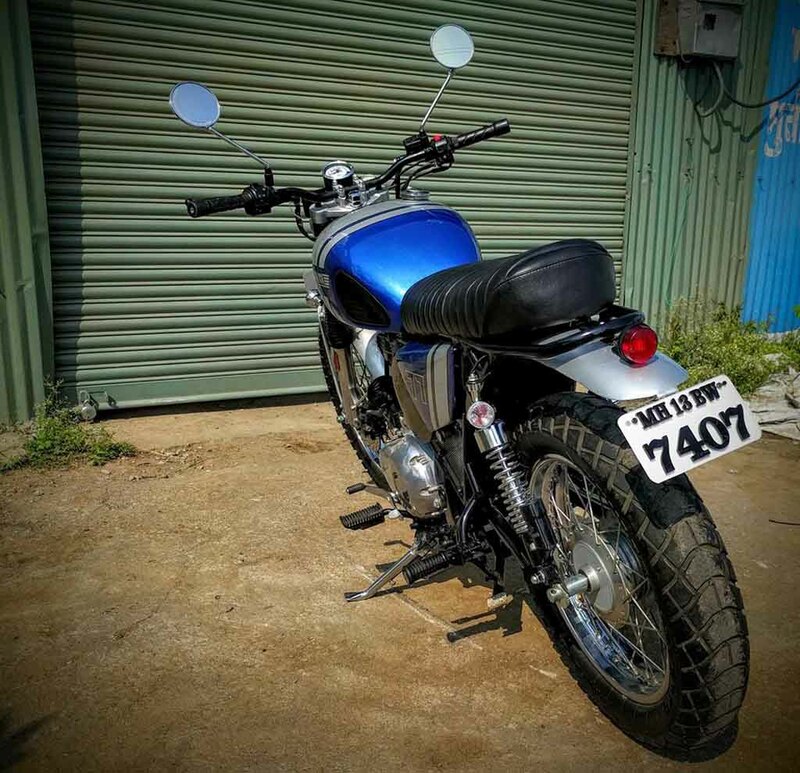 The motorcycle runs on meaty dual-purpose tyres wrapped around the retro-looking multi-spoke wheels. Overall, the Dochaki Custom has given the motorcycle a completely different look than the regular Classic. 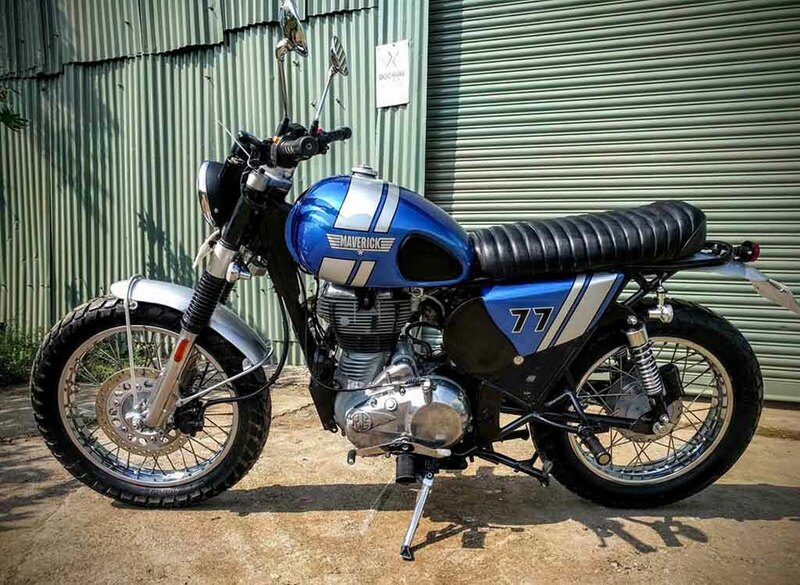 The Royal Enfield Classic is the bestselling model from the Chennai-based motorcycle manufacturer and it is available in two different variants, Classic 350 and Classic 500. 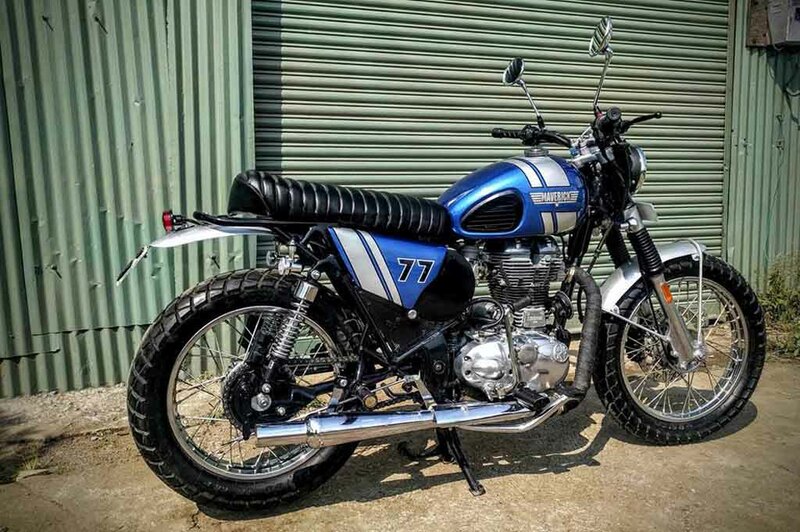 The Classic 350 is capable of churning out 19.8 bhp of peak power and 28 Nm of peak torque, while the Classic 500 pumps out 27.2 bhp of peak power and 41.3 Nm of peak torque. Transmission duty is done by a 5-speed gearbox.